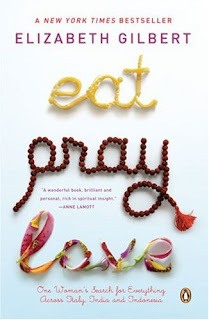 as you know, i'm planning a little vacation to italy in the summer and conveniently, i'm reading this novel eat, pray, love by elizabeth gilbert, where she travels to italy. it really is a great book and documents her road to self-discovery as she wanders through italy and india and indonesia. i've loved it so far and reading about her italy adventures makes me so excited for summer. i'm moving home next week and spent my last friday night in ptown with a cheese pizza, chocolate strawberries, a novel, the couch, a long hot shower, the food network and myself. i'm very aware that i'm just not cut out for the college life. i am completely content going to bed at 10pm.